Height from Center of Wall Opening: 10.50 in. 3 question(s) from the community have been answered. Q Does this light come in other colors? 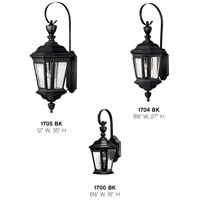 A The Hinkley Lighting Camelot 1 Light Outdoor Wall Lantern 1700BK and all other fixtures in the Camelot Collection are only available in Black. 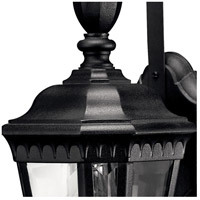 Q Is the bottom opened or closed with this light fixture? 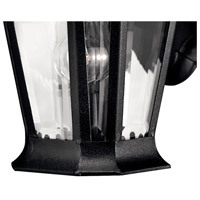 A The Hinkley Lighting Camelot 1 Light Outdoor Wall Lantern 1700BK bottom is open. Q Does this come in oil rubbed bronze? 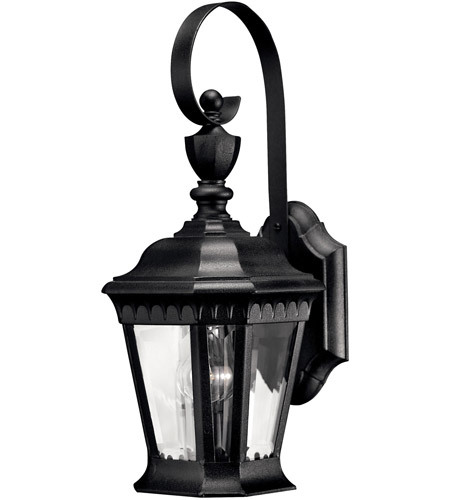 A The Hinkley Camelot Outdoor Wall Mount 1700BK is not available in bronze.